Products and services that are applicable to Emergency, Disaster Recovery and Preparedness-Survival planing & execution. Today many people all over the world are becoming aware of the need to extend or enhance existing supplies of food, water, cooking and shelter in preparation for an emergency event. Wild storms, Tusnamis, floods and earthquakes are common and preparartion is essential. What are the TOP-20 survival items you would need if you had to leave your home tomorrow for several weeks? What if you found yourself still living outdoors after four weeks - what items would you want with you to make life more comfortable? What provisions and rations would you require to feed yourself, your family or your group assuming shops were closed? Sure you can stock up with cans, buckets and freeze dried foods but what happens when they run out? And what if the Government seconds your food supplies (as they can do under the law) in an emergency and you have to join the soup kitchen lines anyway? Watch carefully in 2013 as world food supplies dwindle due to current and past climatic and economic changes that herald in the four horseman! 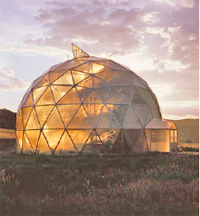 The answer to LONG TERM survival food supply is BIODOME-AQUAPONICS. And combine this with AUTO POTS and you can grow enough to live on for a long time. Our site provides some answers on how to prepare, what to include, tools and tips and planning preparedness. And we have experts from all over the world providing tools and tips for those wishing to plan ahead. Some preparedness products can be purchased from our on-line store. We also provide info on the latest technology releases for disaster recovery/survival living or simple off the grid living requirements. And our S.O.S. EMERGENCY CONTAINERS might just be the solutions you need to keep you alive in a time of displacement and crisis.Our TACTICAL 3YEAR WATER KIT is ideal for every household. Even the Queensland and NSW Governments say you should have a plan and be ready for any emergency situation. Be prepared for an emergency with four 500ml S.O.S. EMERGENCY Long Life Soft Packs (2 litres) in a special carry bag ready for any event. Keep one handy at all times and it lasts up to three years! We even have Long Life Water with a shelf life of up to 5 years. And if you are contemplating growing your own food we provide non-GM seeds and AUTO-POTS (self watering systems) for smart food production! SURVIVAL & DISASTER RECOVERY - WHY PLAN? Ideal for quick bug-out in an emergency. 3 tier modular survival solution you can build on as budget permits. Buy all three now or acquire over time. Long term food and water only based on required duration and number of persons. CUSTOMISED TO SUIT YOUR GROUP. Ideal for large families or small groups with food, water, shelter and much more. Based on required duration and number or persons. Ideal for large families and groups. Food, Water, Shelter, Tools, Communications and much more. The ultimate top of the range survival assistance package including personal transport. Our on-line store for ideas and purchases. Survival planning is about being prepared for an emergency that may cause you to be without the normal creature comforts of home due to an unforseen climatic or man made disaster. Planning and preparedness is essential to maintain your personal integrity (and the integrity of your family or group) in a crisis which can come in many forms including disasters, unemployment, personal tribulation, emergency events, unexpected situations, weather conditons and much more. This site shows how and what to prepare for an emergency situation which may last a few days, weeks or even months. 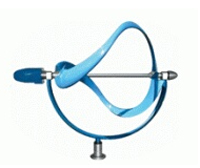 The technologies are updated frequently as new products come to market. We also run seminars and training on topics associated with Disaster Recovery and Survival planning and preparedness. 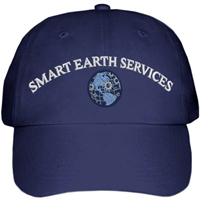 Get your SMART EARTH cap and promote an emergency preparedness way of life! Buy here! Available from our online store . . .
SunROCKET solar kettle heats water for a cuppa anywhere! Enjoy a hot cuppa anywhere you go! The SunRocket uses an evacuated tube (similar to roof-top solar hot water systems), boosted by reflective panels to heat and boil water! Buy online HERE! SunRocket solar kettle heats water using sun rays. Great for all kinds of uses, camping, hiking, survival and more! It's a must have!! And what about a solar oven?? What is solar cooking? Its a simple concept - sunlight is concentrated by reflective panels and is then trapped through insulation. This creates a perfect environment for cooking - cakes, breads, stews, casseroles, rice, roasts - there isn't much you can't cook by the power of simple sunlight. How much food and water will you need? Active infrared barriers that protect valuable assets and people by detecting intruders before the enter the premises. Modulated beams of Infrared light are sent between transmitter and receiver to form an invisable wall of protection with up to 50m range one set can protect multiple windows and doors. Leave your windows open at night with peace of mind that anything breaking the barrier will cause an alarm to trigger throughout the home. Yes it can be programmed for pet intrusion so that false alarms are reduced. These advanced turbines are designed for inner city and urban living. They are 1m in diameter, 1.39m long and sit in a hemispherical yoke. Output at 14m/s is about 1 kW. 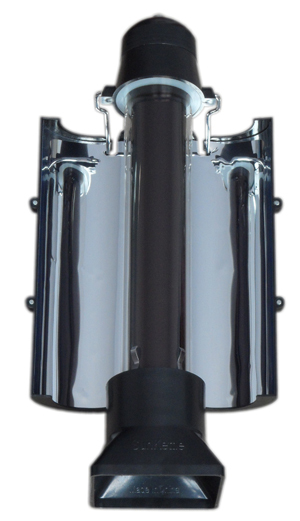 The armature generator is rated at 3.5kW and, unlike bladed turbines, they do not have to be stopped in high winds. Rotation speed at 24m/s wind is 1,400 rpm, the same at 30m/s because surplus high speed air then spills round the rotating turbine. They are 53% efficient, as opposed to 46% for conventional bladed turbines. The turbines are silent because they have no blade tips to shed vortices. Noise level at 1400 rpm is 42 dBA. WHY MIGHT YOU NEED TO PLAN? Could this ever be required in Australia? WHAT KIND OF SHELTER DO YOU NEED? to grow your own food. THE DARKNESS IT EMERGES . . .
Afte spending decades filtering through the earth's service in complete darkness absorbing natural minerals, the 5 Degrees natural spring water is extracted from deep aquifers at a chilling 5 degrees. Contained in the foil soft pack the water continues to remain in darkness avoiding the light and all impurities until the moment you open the lid, unleashing the refreshing natural spring water for the very first time. UNLEASH THE DARKNESS WITHIN & ENJOY! For the LONG LIFE version of this Dark Water foil soft pack we scientifically treat the water to enhance its longevity up to three years!